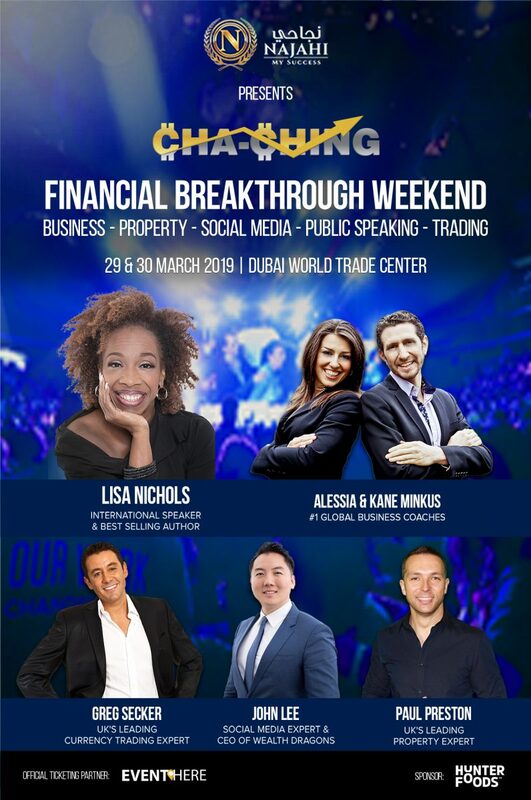 We are proud to be the Food Partner at Cha Ching 2.0 Financial Breakthrough Weekend. This event is to bring together the World’s Best Speakers and International Experts who will share the systems they use to turn their own passion into success. 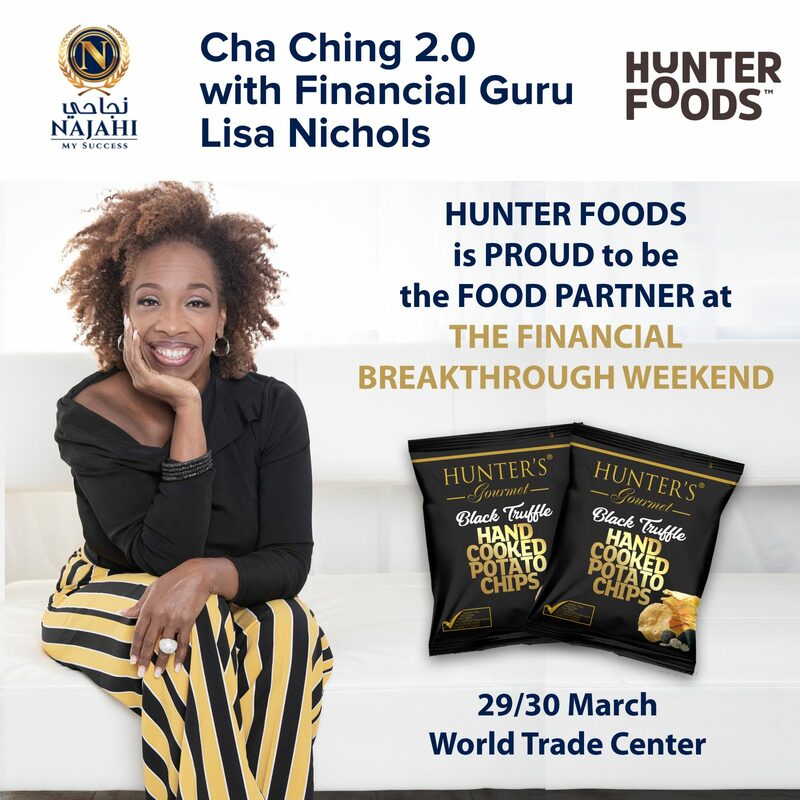 At Hunter Foods, we believe that this event can help in achieving success in all aspects of life and learning proven strategies and techniques to gain advantages and new sources of income, through financial literacy and education. An International Motivational Speaker, Best-selling Author, Founder, and CEO of Motivating the Masses, Award Winner, and a Philanthropist. She was featured in the world-famous, “The Secret Law of Attraction” which sold over 30 million copies and helped millions of people around the world.